Clear eyes, full hearts, can’t lose with the easiest football positions to get a college scholarship. I love football. I asked for a football for my birthday and I received one. Also, I am not a child. These facts–the ones about a grown adult requesting a football as a gift–are the way you know I am actually a big fan of the game of football. I grew up watching and following college football more closely than the pros. It is almost more interesting to get to watch amazing athletes when they are still honing, as the perfect their game. Certainly pro football players still mess up on the field (and too many commit heinous crimes on the field as well, looking at you, partner abusers and sexual assaulters), but the college game is more exciting to me. I remember being recruited to play college sports and thinking it would be fun to go to a school with a great football team. Some of them even reached out to me–Florida State, Notre Dame. I ended up at a college with a record-breaking football team; they hadn’t won a game–in two years. That’s certainly one for the record books. Still, getting recruited for a sport helped me to realize how competitive the process is for athletes. Colleges each only have so many available spaces, and with that, only so much available scholarship money to hand out. I was lucky enough to find a space. For people competing for football positions, we have a breakdown of the easiest football positions to get a college scholarship. 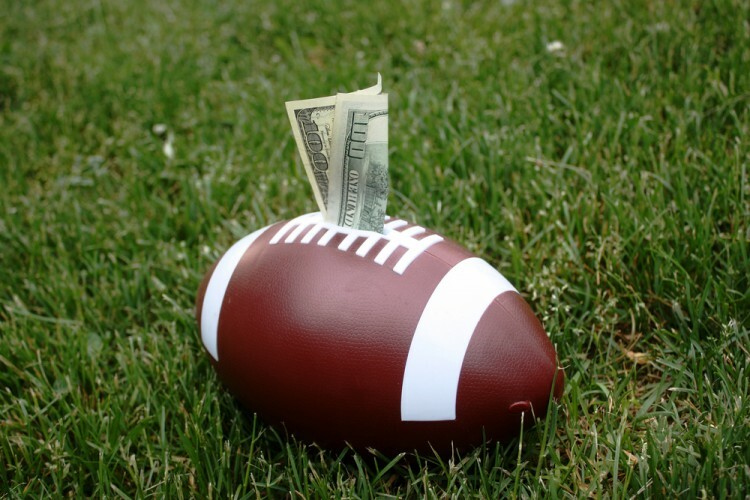 College football scholarships are give out based on potential, it is a great way to earn your college education while playing for the team, in a sport you enjoy. There are twenty or so positions on a football team, but not all positions have an equal opportunity for a scholarship. To come up with our list, we took help from various websites, such as AthleticScholarships, Active and CollegeSportsScholarships, which are very helpful, if you are looking to find more information on getting a scholarship through football. The positions we will discuss today will be less physically demanding than others, or will have a better chance for a scholarship due to its importance–so clearly they will be at different ends of the spectrum. There is more than one way to make it “easiest” to gain a scholarship. If you are interested in non-sports related scholarships check out the 10 Easiest Fellowships and Scholarships to get in 2017. Do understand that we are talking in relative terms here, playing football at a college level is very difficult to being with. Now here are the easiest football positions to get a college scholarship!